The Bullring Shopping Centre in Central Birmingham is one of the largest of its type in Europe and as such attracts millions of visitors per year. 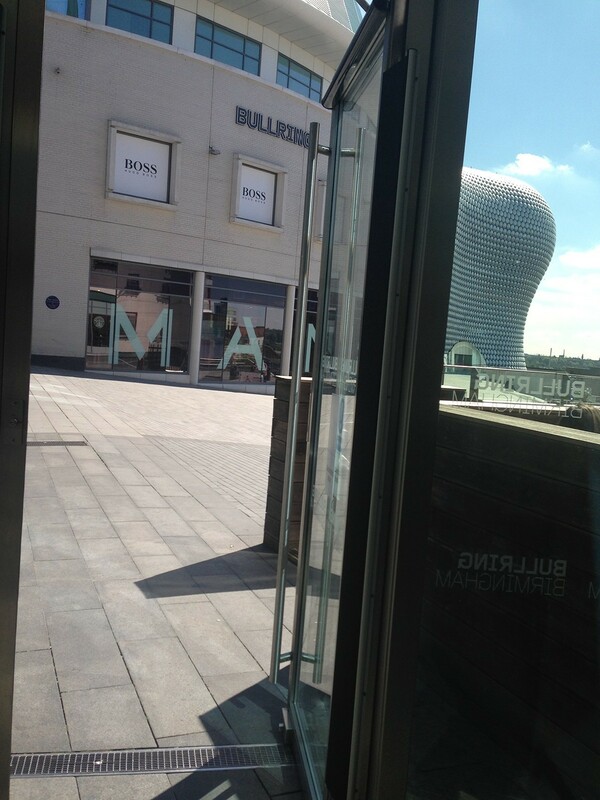 With this amount of footfall the entrance doors need to both aesthetic and in keeping with the glazed façade as well as durable and functional. To meet this criteria Schuco Jansen stainless steel doors were selected. The manually operated doors were fitted with full height stainless steel handles and Geze TS4000E hydraulic closers with hold open function, to allow the doors to be kept open during periods of fine weather. 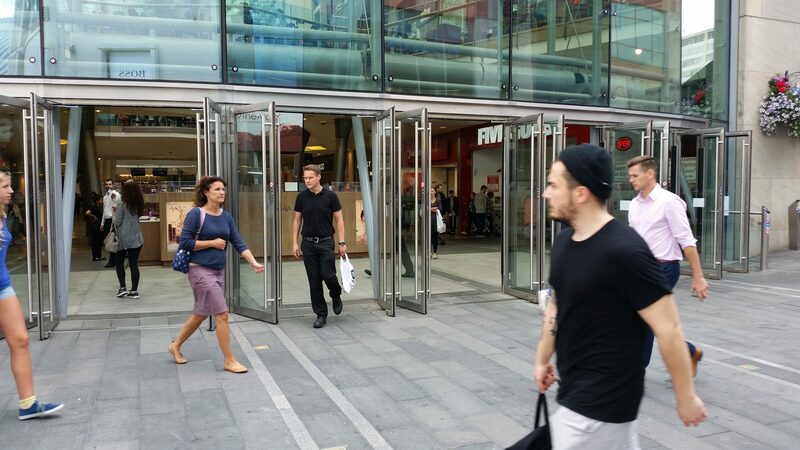 The doors at either end of the bank of fourteen were fitted with Geze EMD-F automatic door operators activated by bollard mounted push buttons internally and externally.